#113. Tim Scott writes on New Sculpture and Direction, Movement, Space and Physicality; Robin Greenwood writes on Three-dimensionality. Tim Scott writes on Direction; Movement; Space; Physicality. Far too frequently, direction has depended on ‘received’ form that is most often provided by manufactured preformed material, but can also equally be the product of shaping and forming any material by the sculptor. 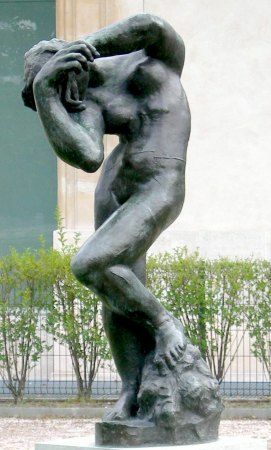 Historically, in sculpture, it was most often the bi-product of gesture, usually provided by the subject matter. 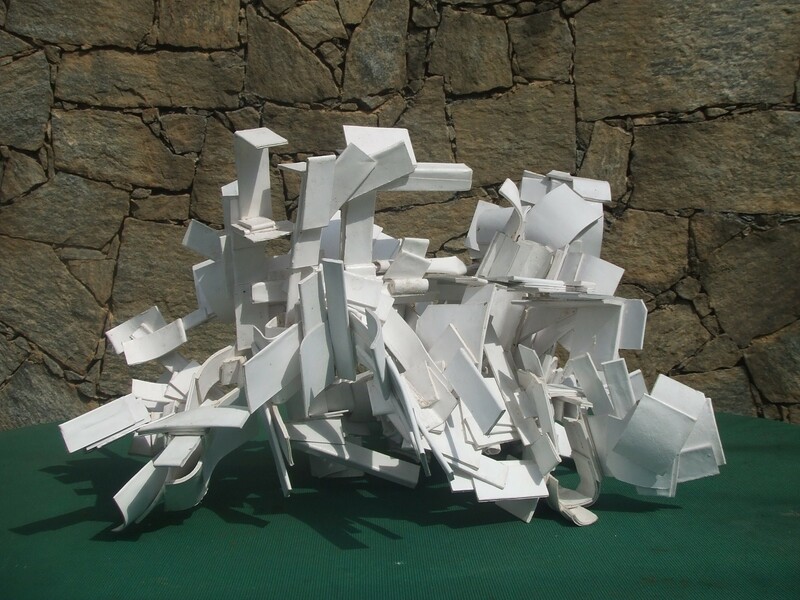 In abstract sculpture this source disappears as being self-evident and decisions around it become crucial. The start, ‘from where’, and the finish, ‘to where’. of any sculptural part is of vital importance plastically. All too often it is merely a cosmetic decision that forms part of a composition that the various parts of the sculpture conform to. Direction is an expressive decision of intent which should have physical meaning and purpose and contribute to the plastic realisation of the whole piece. As one arrives at old age, it becomes more and more apparent that what is of one’s time is – of one’s time; and that what is of the present is – of the present. If one asks what is new, original and fresh in the art of sculpture, the one belies much of the other, and never the twain shall meet! Of the thousands of new sculptures being made by hundreds of artists everywhere, what genuinely shows any spark of new meaning and new purpose? If one bypasses what Clement Greenberg called ‘Novelty Art’, the labelling as ‘sculpture’ of art objects whose prime function is devoted to a social, philosophical, political, amusing, sensational, literary or phenomenological intent, amongst many more; then what was previously understood as constituting ‘sculptural intent’ is deemed to be no longer relevant. Of course, there are still today many practitioners in the age-old function of sculptural expression, depicting the vagaries of the human body. Sadly, none have matched the grand finale of that domain as exemplified by Rodin, Degas and Matisse. For better or for worse non-figuration of varying intensities has led the way to a ‘modern’ sculptural art form. Art survives through patronage and great art requires great patronage. Today’s patronage is from the museum curator/gallery dealers and their clients, the collectors. The one is subject to financial restraint and both to the vagaries of fashion and, most importantly, journalism and media publicity. ‘Sculpture’ is now a label for trendiness and fashion, not of an art form dedicated to those values previously understood to be axiomatic. The price of an unwanted dedication to old values has to be marginalisation. The confrontation of that with an all-pervading worship of the popularisation of art as entertainment, from which stems the verdict of that same dedication being out-of-date, and dismissed as irrelevant, is inimical to upholding those values that are seen as qualitatively necessary to retain from sculpture’s past by a small minority of practitioners in order to innovate. What, then, is the prime motivation for continuing to attempt to move the history-based ‘classical’ line of ‘modern’ sculpture forward from the positions and achievements reached by the end of the twentieth century? #78. 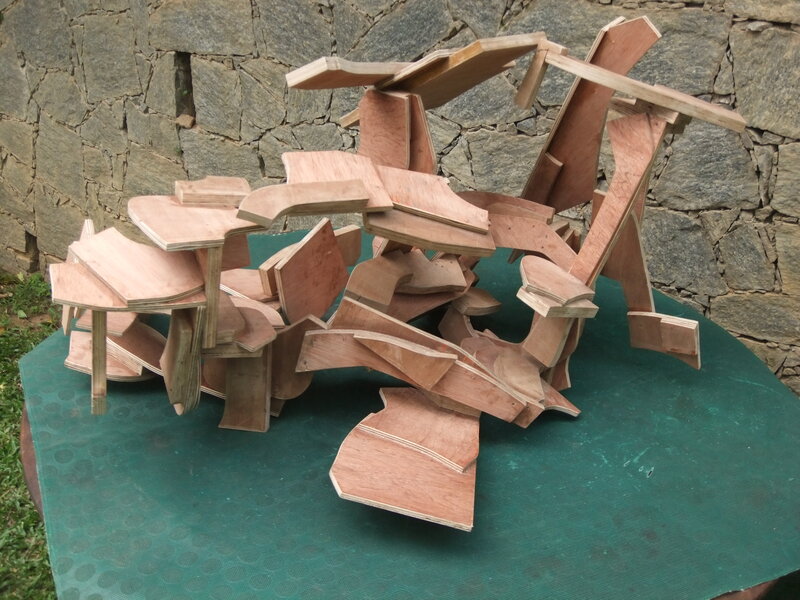 Tim Scott writes on his new sculptures. Rarely does a criticism/review/comment on one’s work give one food for thought which goes to the heart of one’s aims, concerns and intentions, let alone results in the actual piece(s). Happily, there has been a marked increase in Abcrit commentary on sculpture, largely due to Alan’s review of Gili’s exhibition and the responses to it; thank you Alan. Quite a few of the comments are of a general nature, as well as those on Gili’s individual works which, mostly, engendered the general ones. Amongst these, I noticed a recurring theme, that of what exactly creates the differences (of intention and perception) between work which is deemed ‘abstract’, and that which is ‘figurative’, but with abstract ‘qualities’, or abstract with ‘figurative’ qualities? In other words, at what point does a sculpture, which departs from the norms of the representation of appearances, become abstract? Does the recognition of the ‘likeness’ of forms in a sculpture to forms in the known visual world disqualify it from ‘abstraction’? 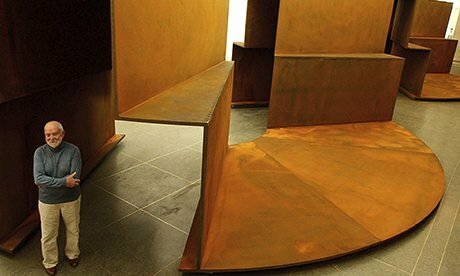 If we take, for example, a sculpture (an early one) by Caro and we see various elements which we ‘recognise’ as being industrially manufactured elements; imitating industrial usage; but not being ‘used functionally’; but even that functionality can be said to exist in its holding up, joining etc. ; does that recognition mean that the result is not truly abstract, i.e. not describing visually anything associated with the real world? Similarly, if we take, for example, a Gonzalez, the source of which clearly testifies to a beginning in figuration, but which manifests qualities of pure plastic invention in the handling and forming of the material, does that change the result to ‘abstraction’? 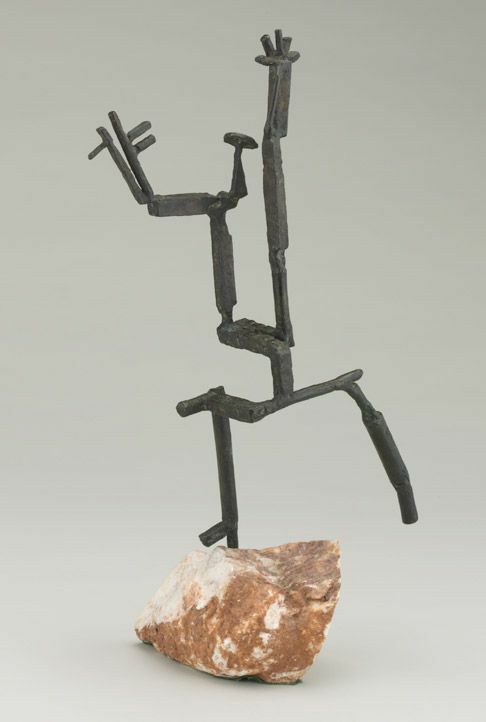 In other words, there is a conundrum visually and as a consequence, perceptually, between the one sculpture, ‘figurative’ (recognisable elements), but reading as ‘abstraction’; and the other ‘abstract’, but reading as based on real recognisable elements. Surveying the numerous analyses in abstractcritical and Abcrit, it is evident that one subject has occupied the attention of many contributors: that of defining the meaning(s) of the word ‘abstract’. From technical definitions: ‘non objective’; ‘non figurative’; ‘non representational’; ’concrete’ etc., etc. to the more abstruse renderings defining the ‘break with traditional norms of painting ’; or rendering traditional material into non mimetic ‘form’, or Picasso’s projection of collage into three dimensions to create a new medium for sculpture, ‘construction’. The term has also been widely interpreted to signify a new art form, one that eliminates mimetic illusion in favour of representing nothing but itself. Others argue that there is no such thing as representing ‘nothing’; everything must ‘represent’ something; every blob, every mark, is capable of being ‘something’ else. ‘Abstraction’ is seen as being in a continuum from the past (of painting), through periodic changes of ‘making’ that create a new pictorial vision of the world, albeit by illusion. 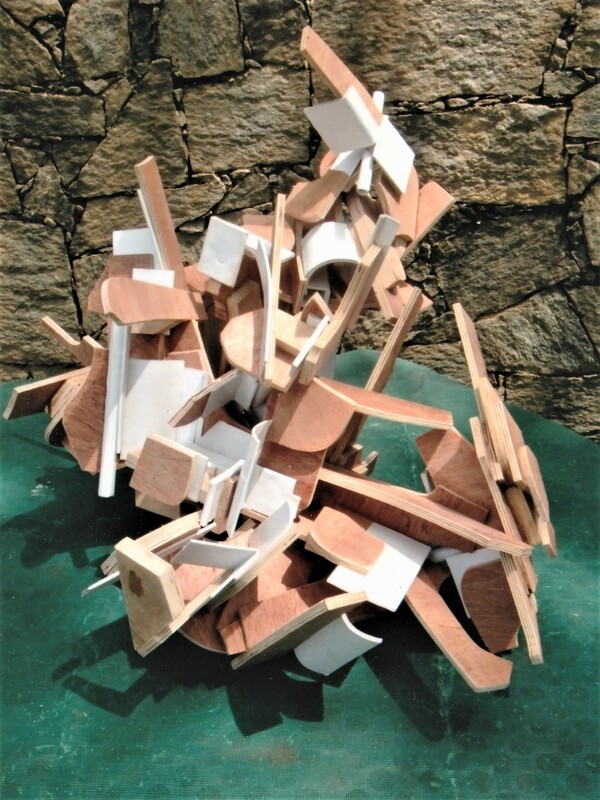 It can also be seen as a complete break with the forms of the past in favour of new norms (usually largely derived from geometry), which are seen as representing a totally ‘abstract’ new ‘reality’, its subject not being derived from nature, but being ‘scientific’ in its new ‘truth’ (ignoring that science itself deals with ‘nature’). Yet another interpretation is seen as being the hallmark of a ‘modern’ art, an art that is of our time and synchronises with other major changes in society, living styles, engineering and technical development, all the signals that suggest that man has evolved, improved and developed in time. Whichever semantic definition one prefers, abstraction as used to signify a new Art Form (of the 20th C.), which, though building on the foundations of the ‘old art’ (via the 19th C.), is perceived as radically different in its vision (pace all the arguments about abstract ‘content’). Much discussion, however, has been about the ‘stepping stones’ of the 19th C.; in which abstraction is viewed as having always been integral to making art (largely painting) and which in its ‘modern’ (mid 19th C. on) developments, though representational, rejected the old formulae of three dimensional illusion, spatial perspective depth etc. to evolve totally new ways of looking, seeing and describing. The following is taken from a recent exchange of emails. Robin Greenwood: Thanks Tim. We all define these things a bit differently, don’t we, but I’ve found the idea of “abstract content” quite useful recently. Time will tell if I’ve got it right or wrong. Tim Scott: I’m interested. Are you saying that “abstract content” is different to any other sort of content? (Clem says it’s all the same but should be called “quality”; he doesn’t use the word “value”, as in value judgement.) Another point he doesn’t touch on is whether there is any difference between “sculpture content” and “painting content” in terms of definition.